We've never been to Russia before, and two dancing bears were just the perfect companions! 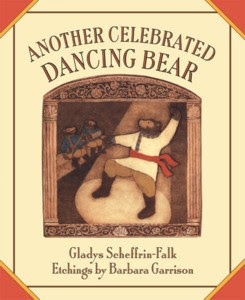 First published in 1991, "Another Celebrated Dancing Bear" by Gladys Scheffrin-Falk is one of the amazing books that we're reading because of Five in a Row. Boris is a "heavy-footed" bear who is unhappy with his job at the animal hospital. He is quite envious of his friend Max who dances in the Moscow circus. Being a sensitive friend, Max realizes that Boris' envy stems from unhappiness with his job and proceeds to give Boris dancing lessons. 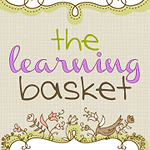 The charming premise set us on an adventure learning about friendship, self-control, hospitality, Czarist Russia, boiling water temperature, and many more! Here are the highlights of our trip. The book's illustrations feature the famed onion dames, which are a typical feature of the Russian skyline and are often found on churches. I bought this puzzle set when I stumbled upon it some time ago. Little T's own drawing of a dome skyline, a handmade flag, a geography puzzle, and this miniature all give us a visual reminder of our Russian adventure. Max teaches Boris how to dance to make him happy. The two eventually dance together in the Moscow Circus. We spent several days dancing to the Russian Dance in Tchaikovsky's Nutcracker Suite, kicking forward with our arms crossed in front of us like what we learned in our Kindermusik class and just like how Max teaches Boris to dance. We used this clapper, which was a gift from my children's grandparents when they went to Russia several years ago, to play along with the music. "Another Celebrated Dancing Bear" features different objects from Russian life, and Little T was thrilled to recognize Matryosha dolls, which she has, in the book. Matryoshka (sometimes spelled as matrioshka) dolls are nesting dolls of increasing/decreasing size. Now that she got reacquainted with the matryoshka dolls in the context of learning about its home country, Little T now plays with her "doll family" quite often, lining them up this way and that. Max is a very good host and serves tea whenever Boris comes to visit. We had tea too and made these Russian teacakes to go along with it. The recipe is from the Five in a Row cookbook and is verrry good and very easy to make that Little T asked to make a second batch right after baking the first one! So thank you for coming along with us to our trip to Russia. I hope you got some ideas on how to bring books come to life in your own homes. Our adventure didn't stop with "Another Celebrated Dancing Bear" though. We continued with Prokofiev's "Peter and the Wolf" using our Maestro Classics CD, so do watch out for that!